WOW! 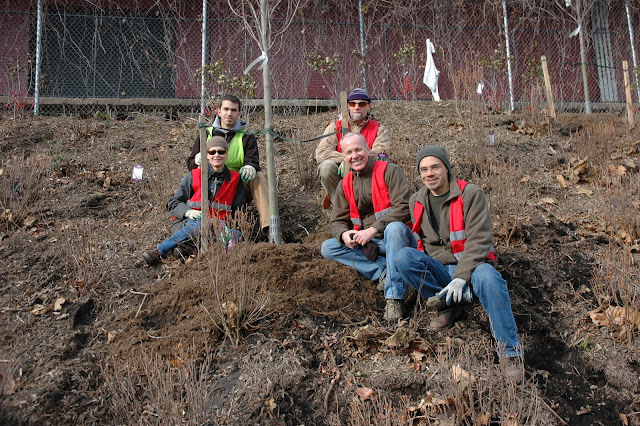 This fall, with the help of almost 1,000 volunteers and Citizen Foresters, Casey Trees planted more than 450 trees across the District through our flagship Community Tree Planting (CTP) program. Combined with our spring CTP plantings, there are 851 new trees in DC. Highlights from the fall season included Safe Shores on Oct. 23 and the Metropolitan Branch Trail on Dec. 11. Deals for Deeds sponsored the CTP at Safe Shores and helped add 37 trees to the advocacy center's campus. Rails-to-Trails Conservancy, with funding from the Coca-Cola Foundation, sponsored the planting of 29 trees along the popular Metropolitan Branch Trail. Consider joining the ranks of these generous organizations and sponsor a CTP event or make a year-end donation of any amount to support our work. Your charitable gift will make a real difference. Check out all the locations for all the newly planted trees - and those from past seasons - on our interactive online Casey Trees Map. You can search by tree species, event name or planting location. We have received a record number of CTP applicants for spring 2011 so rest up and get ready to plant with us again starting in March. Sign up to receive our e-newsletter so you know when the planting schedule is published.